I’ve been in New York City this weekend, so I don’t have a lot of time to post today. I am flying home this afternoon, so everything will be back to normal tomorrow. Since I didn’t bring my computer on this trip (this post is brought to you today from my Kindle), I won’t go into a lot of details here. Let’s just say that I have made my pilgrimages to the four story Barnes & Noble at Union Square and, of course, a trip to the Strand is always a must. Bought a ton of books, although most of them were for my daughter. I did snag one really cool book for me – Someday, Someday Maybe by Lauren Graham. Yes, the Lauren Graham of Gilmore Girls fame. She has written a book and the blurb looks really cute. Bonus? – it’s a signed copy. 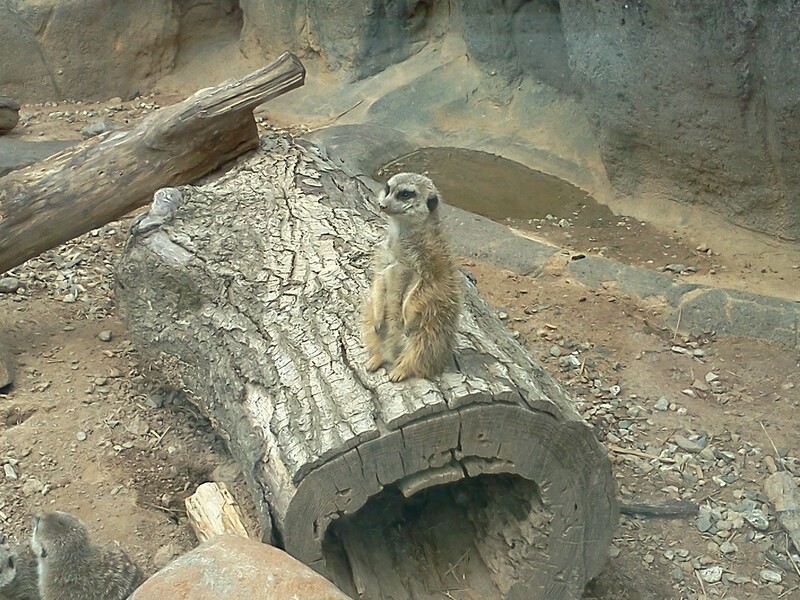 Meerkats and tigers and roos! Oh my! 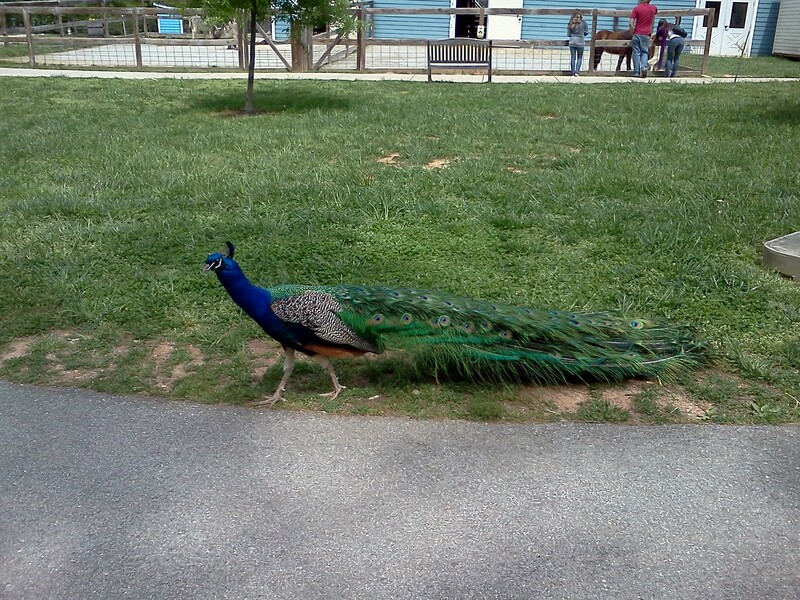 This weekend, my family and I went to the Greensboro Science Center in Greensboro, North Carolina. It was a lot of fun! This place is a constant surprise, with their exhibits and shows. They’ve done a huge expansion, which will feature a massive aquarium. Can’t wait to see that when it’s finished. I hardly recognized the place. 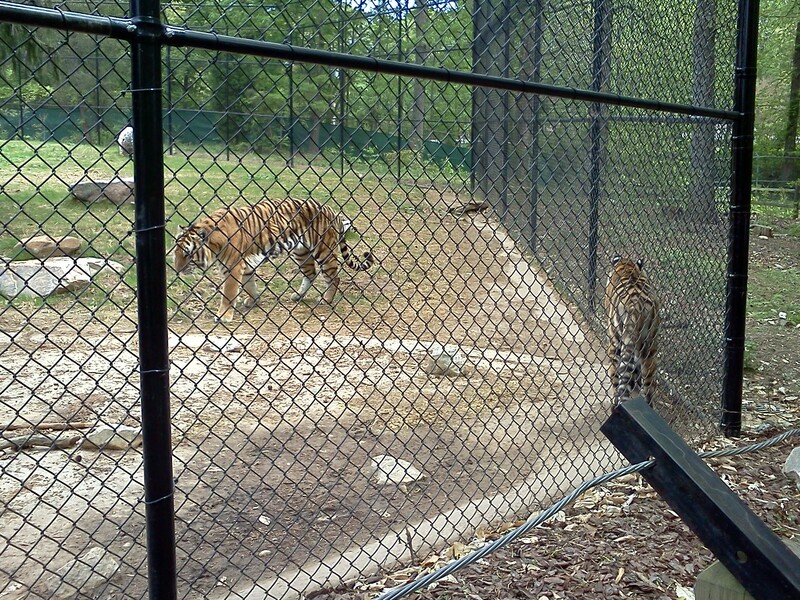 And my favorite, the tigers! Another thing they had was the tornado tube. 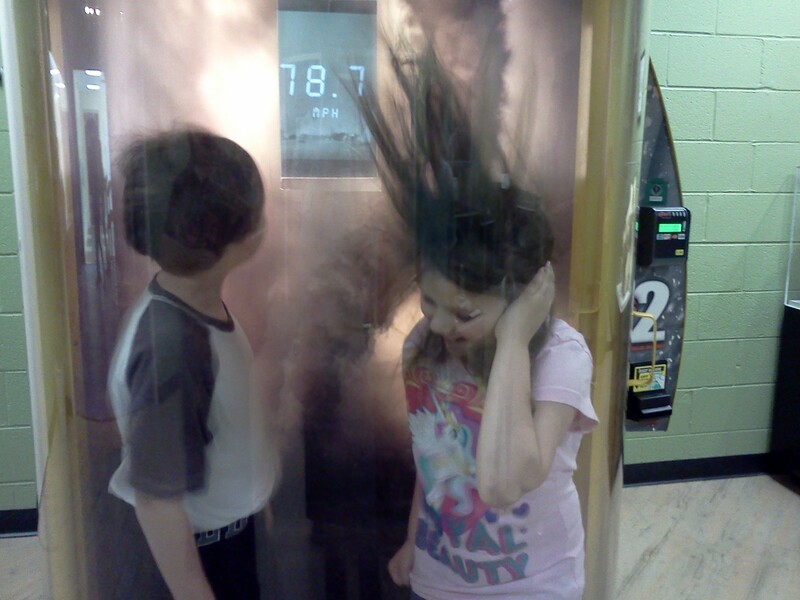 You step in and it will show you what it feels like inside a tornado, winds up to 80 miles per hour. It’s a hard thing to describe, but I did snap a picture. Anyway, that was our day. It was nice to get away and relax for a while, spending time with the family. So I met some people . . . 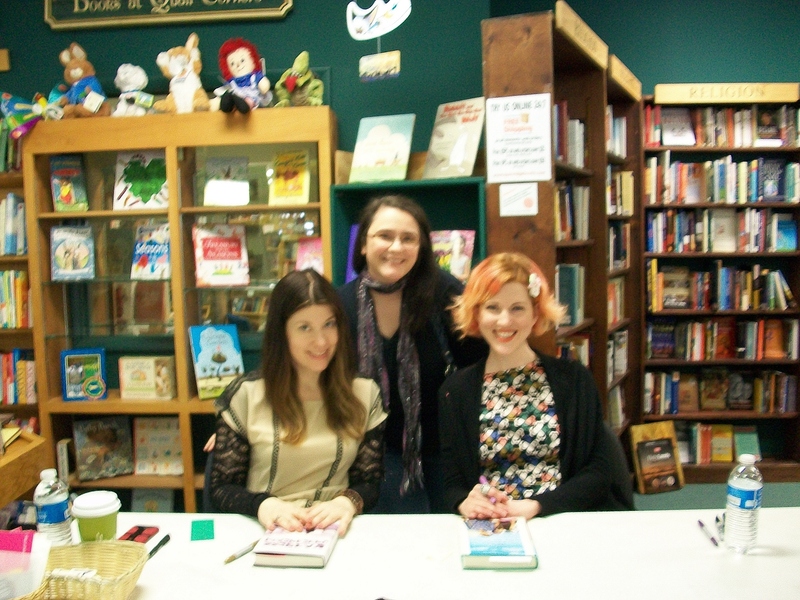 This past Saturday, I was lucky enough to go to a book signing and meet two awesome authors – Maureen Johnson and Stephanie Perkins! It was so much fun! 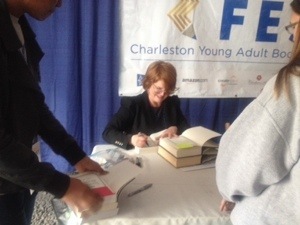 I’ve never really gone to a book signing before, since I always seem to be behind in the times and find out about things just a day or so too late. This time, thanks to my writing buddy Jeff, I was able to make it. 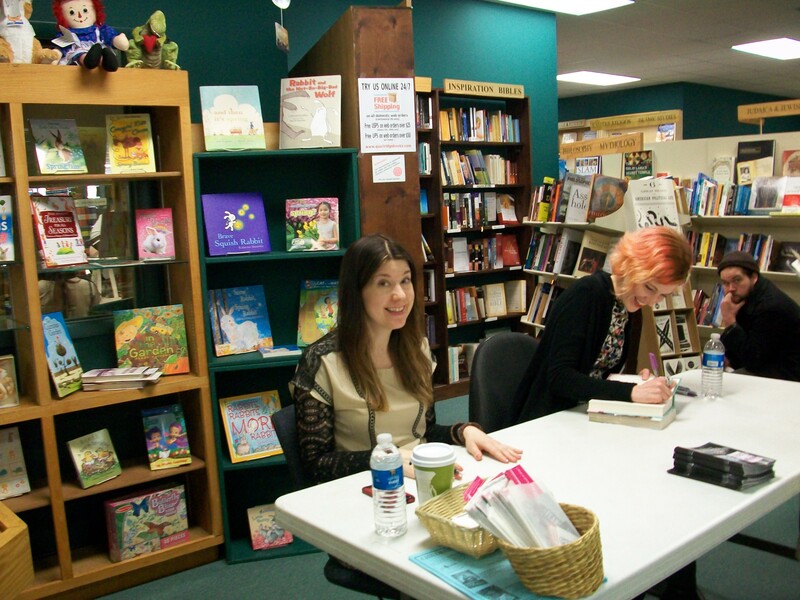 The book signing was held at Quail Ridge Books in Raleigh, NC, which is a really neat independent bookstore. I didn’t know this, but they have lots of events like this. Needless to say, I am now signed up to get their newsletter and I have started following them on Twitter! Raleigh isn’t too far away from where I live – only about an hour and a half drive – but since I didn’t feel like going alone, I talked my mom into coming with me. 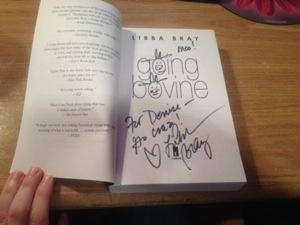 She agreed, despite not really knowing anything about these two authors, except that I really liked them. After listening to them, she now understands why I am so enamored with them both. The event started off with a small panel discussion and a Q & A session. It was fun seeing so many younger people excited about reading. There were even a few very small fans (one in particular, who was still in a stroller) that Maureen and Stephanie had fun “talking” to. Actually, at one time, the little kid started laughing in a maniacal sort of way, and Maureen said that was just how she sounded while working on The Madness Underneath. My favorite part of the panel was when they talked about writing and getting published, which are two very separate things. As a writer who wants to be published one day, it is always refreshing to hear how it sounds like from the other side – the side I hope to one day be on. It is easy to think, while plodding through your own manuscript, that published authors have it easy. Obviously, they’ve been successful, so they must be brimming with confidence and know exactly what they’re doing, right? Nope. 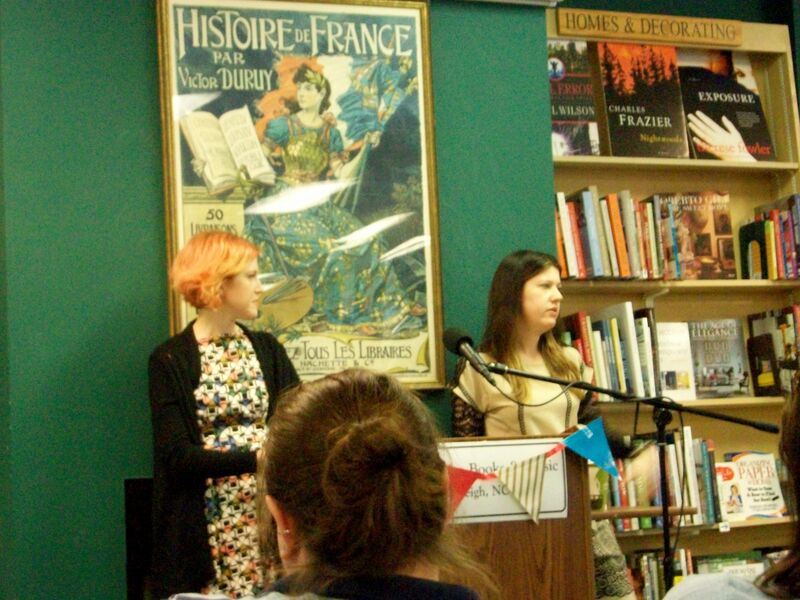 Maureen confessed to the crowd that while writing, she often feels like sealing herself in a box and shipping herself off to Spain in order to get away from her manuscript. Stephanie has similar fantasies, except instead of Spain, she would find a small isolated cottage in England, throw her laptop off a cliff, and settle down with cups of tea while her husband plays the piano. Names would be changed, of course, so that no one would ever find her or her writing. Maureen sees you with that camera! After that was the signing, which was set up over in the children’s department. Everything moved pretty fast, but we never felt like we were being rushed. Maureen got very excited when a fan brought metallic gold Sharpie pens, and quickly appropriated one. They were both lovely, stopping to take pictures and sign as many books as you could carry in. I bought two books there, Maureen’s The Madness Underneath and Stephanie’s Lola and the Boy Next Door, and got both of them signed. 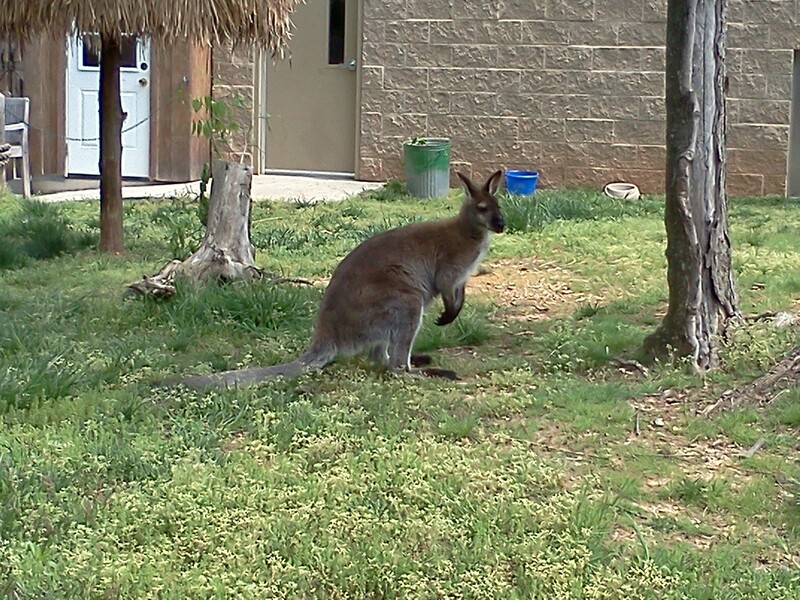 And got a photo, of course. Maureen, Me, and Stephanie. Squee! Ladies, it was so nice to meet you! Hope you come back soon! 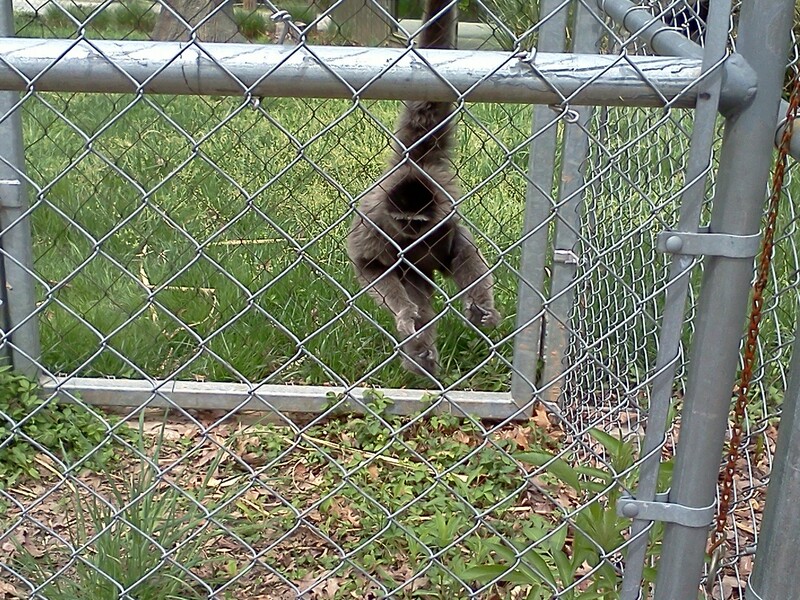 This week, Tuesday and Wednesday, I went on a little adventure. My mom, my daughter and I went to Alexandria, Virginia (which is just outside Washington D.C.). Our reason for going: to see Ramin Karimloo performing at the Birchmere Music Hall. This is awesome on many levels, so let’s just list them, shall we? Any reason for going on a road trip with two of my favorite people is a good one. The Birchmere is amazing! It is steeped in music history, with legendary guests like Johnny Cash and Ray Charles. They have a wall with photos of many of the people who have graced their stage and it is impressive. At the same time, it’s not very big, so the performances feel very intimate and personal. 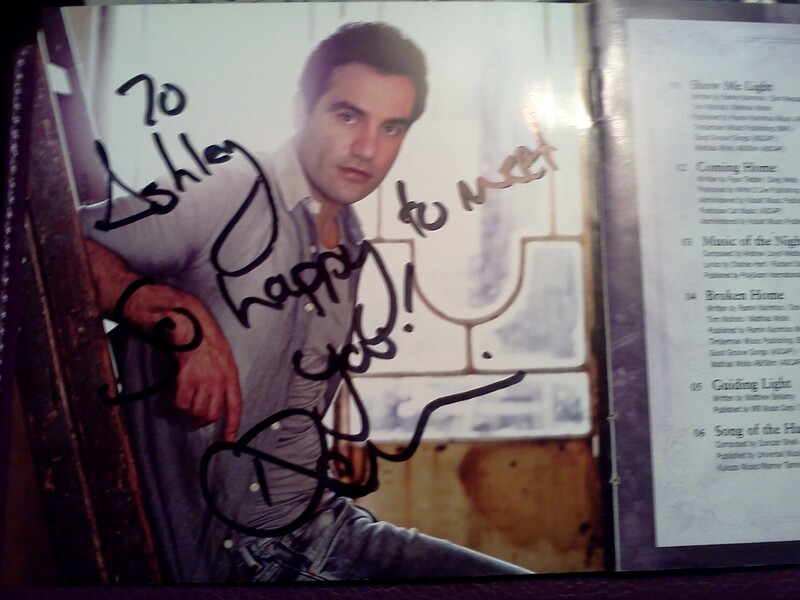 I am a huge fan of Ramin Karimloo!!! He’s most known for his work in London’s West End, playing such famous roles as the Phantom in Phantom of the Opera and Love Never Dies, and Jean Valjean in Les Miserables. I mentioned him briefly in this post but after seeing him in concert, he deserves a post of his own. Ramin has been touring the U.S. to promote his new album. He sang several songs from it, along with a few from shows he’s been in (“Music of the Night” and “Bring Him Home” were musts, of course). He also sang a mix of folk, rock, and traditional hymns. In fact, I think this is one of the things I like best about him – his music comes from a wide variety of styles and genres, and he is equally brilliant at all of them. My daughter, who is almost eight years old, is also a big fan and she was really excited that he sang her favorite song from the album (“Broken Home”). And now a few pictures, this time from the little meet and greet afterwards. 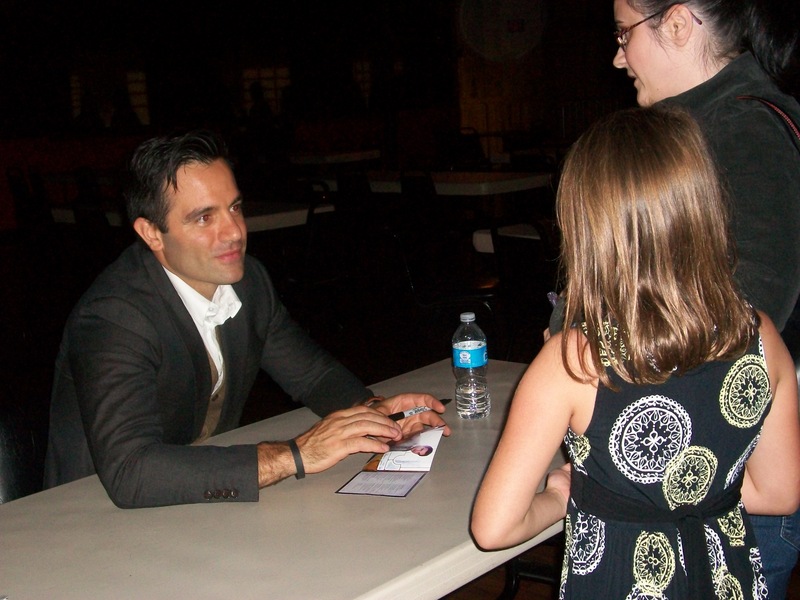 Here’s my daughter and I, getting to meet Ramin! I am officially back from vacation. My husband and I, our two kids, my mother and my mother-in-law all piled into two cars and headed down to south Florida. We spent part of the week visiting family, going to the beach, and hanging out by the pool (it’s a rough life, I know). Then we packed back up and headed to Orlando, the theme park capital of the world. We planned out three theme parks to visit in three days. I would like to warn all my readers against this idea – it was exhausting. By the last day, I was so tired and in so much pain, I didn’t know if I would make it. Just to give you an idea: my mom wears a pedometer for her fitness routine to measure how many steps she takes during the day. It also converts her steps into mileage. According to her, we walked 28 miles in three days. Oy! Our first theme park was Universal’s Islands of Adventure. I had never been there before and was really excited to go, mostly for one reason – I wanted to go to Hogwarts! 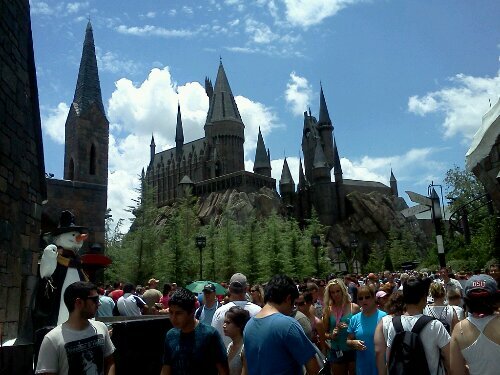 That said, I have to admit that the Wizarding World of Harry Potter was a little disappointing. The section of the park is really small and incredibly crowded. I understand that everyone is excited to go, but most of it felt very cramped, especially the stores. Also, they only have three rides, two of which are roller coasters. I don’t really care for roller coasters much, so that left me, and other HP fans of like minds, with not much to do. But lets talk about the good stuff. The atmosphere in that place is incredible. They did do an excellent job staying true to the story and the world created by the films. The snow on the rooftops looks so real, you almost forget the 90 degree temperatures (almost, but not quite – it was HOT!). I got to taste Butterbeer and Pumpkin Juice, both of which are delicious. The centerpiece, though, is Hogwarts Castle and the ride Harry Potter and the Forbidden Journey. It was awesome. We waited in line for 90 minutes, but it was worth it. A good part of the line is inside and you get to wander through the castle hallways, Dumbledore’s office, and the Defense Against the Dark Arts classroom. Harry, Ron, and Hermione come out and talk to you, as does Dumbledore. The ride itself is part simulator in front of screens, part swinging through castle sets. You get chased by dragons and dementors, plus fly through a Quidditch game. It was a lot of fun, but I don’t know if I’ll go back. I definitely had to go at least once. More vacation news to come! I’m a travelling girl . . . I absolutely love airports. There’s just something about the idea of being able to hop on a plane and go . . . anywhere! And you always see interesting people there, visiting from all over the world. I always thought it would be an interesting place to work, although probably stressful at times. This weekend I went back up to New York. I got to see Seminar again, which was wonderful. 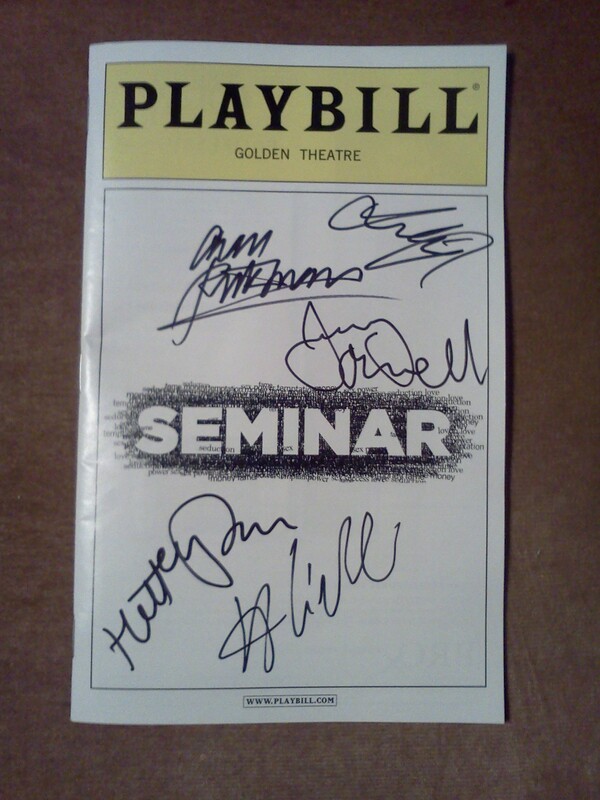 I even did the stage door thing and got my Playbill signed by the entire cast. I’m such a sucker for this sort of thing. Heading back home today. I tried to get some writing done this weekend, but there wasn’t that much time. Plus, my packing space was limited, so most of my typing was done on my Kindle. Effective, but not very efficient. Although I’m getting faster. I did, however, manage to finish another book, Domes of Fire by David Eddings. It’s the first book in the Tamuli trilogy, which is a continuation of the Elenium trilogy, which I finished earlier in the year. A very good book. I’ll get around to re-reading the other two books at some point. I still have about 20 minutes before my flight boards, so I guess I’ll kick back and relax for a bit.